Day 1 of ASN Kidney Week. November 12, 2014 Thursday. This is the day that the KDIGO App for the iPhone was released. I am proud to have been part of the team involved with eAJKD co-Advisory Board member Joel Topf and the rest of the KDIGO Staff in working with Visible Health in getting this APP to fruition. It must be remembered that last year, we worked hard on getting the KDIGO App on the iPad. I enthusiastically attended the KDIGO Conference entitled: “What’s New in KDIGO Guidelines and Conferences.” Moderating, were the 2 Co-Chairs Drs. Bertram Kasiske and David Wheeler, and there was an excellent line up of speakers who are also Work Group members. There were also new data suggesting that “low BMD is associated with higher risk of fractures,” as reported in at least 2 studies. However, it remains unclear if this is applicable to transplant recipients, so these will have to be reviewed by the Evidence Review Team. They also felt that other patient level outcomes, e.g., quality of life, physical function, etc. need to be taken into consideration (unlike in 2009 when these were not). For Calcium and Phosphate, the Updating WG felt that these will have to be updated as well. There has been recognition of renewed safety concerns regarding liberal exposure to calcium in both pre-dialysis and dialysis patients, as well as the effect of calcium on endpoints, e.g., vascular calcification, mortality and progression to ESRD. There may be potential new data on “dialysis Ca mass transfer” during hemodiafiltration and/ or nocturnal hemodialysis, e.g., is there any benefit in using low Ca dialysate ? There is new evidence suggesting that “calcimimetics” may alter the clinical significance of low Ca. They also wanted to determine the relevance of the above issues in children (since Ca balance is expected to be more dynamic) or in transplant patients. There is new data to support separate recommendations on use of phosphate binders for management of hyperphosphatemia in pre-dialysis and dialysis patients. There is new data to provide more guidance on limiting dietary phosphate intake by targeting specific phosphoprotein sources. Both PRIMO and OPERA studies failed to show a beneficial effect of lowering PTH with paricalcitol on cardiac structure and function, but demonstrated an increased risk of hypercalcemia. There were concerns about treatment to lower PTH values to within the normal range in CKD stages 3-5, while moderate PTH elevations may serve as a beneficial adaptive response, e.g., phosphaturia, bone turnover. Lastly, they looked at the guidelines on Vascular Calcification, and felt that there was no need to revisit or update these. They reasoned that there has been no new high quality data to justify routine screening for CV calcification in CKD, and similarly, there is no new data comparing various imaging modalities. I was very pleased to hear that they were also going to consider potential additional key clinical questions that weren’t previously addressed, such as management of calciphylaxis. I was particularly interested in this because I had written a chapter on this a couple of years ago, and during my research, I felt that most management recommendations were based on case reports, e.g., use of Na thiosulfate, etc. On the global perspective, they are also considering addressing disparate guidance on CKD-MBD management between KDIGO and other organizations from other countries. The timeline in drawing up these guideline revisit/updates ranges around 2 years, that is, between November 2014, when the members of the Evidence Review team are first selected, up to its target projected publication date of March 2016. 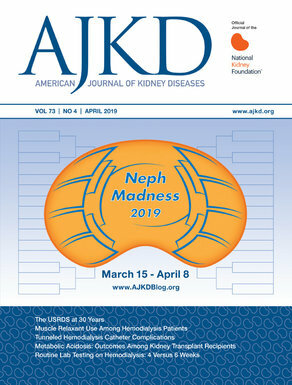 The field of CKD-MBD is rather dynamic, and I’m sure that the Work Group Members are going to be diligently hard at work in scouring the literature, analyzing data, and preparing a robust evidence-based guideline on management of CKD-MBD. As a clinician, it is quite reassuring that the KDIGO leadership has a very structured and organized methodology in trying to achieve the daunting task at hand … at the end of the day, it is all for our patients. Post by Dr. Edgar Lerma, eAJKD Advisory Board member. Check out more of eAJKD’s coverage of Kidney Week 2014! Also, follow @eAJKD on Twitter for live updates!